Fun Fleet helps us connect with people of all ages and backgrounds where they are, providing opportunities to create and share. Ultimately, we want to help people here feel happier. 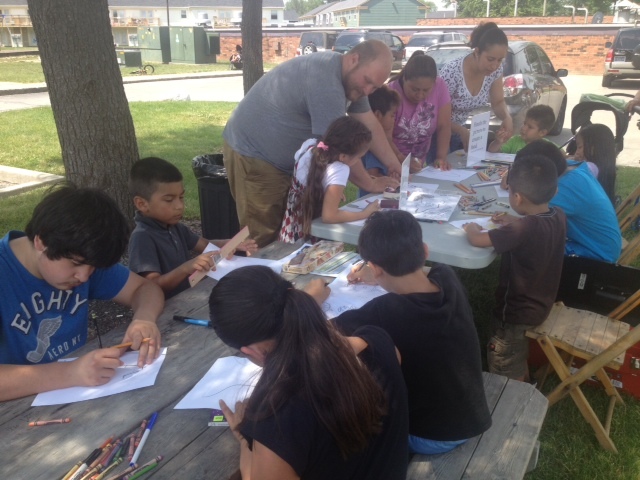 To do this, we work directly with kids and families with Fun Fleet — a mobile mini-caravan featuring Big Car teaching artists and the Indianapolis Public Library’s Bookmobile — that travels to apartment complexes on Wednesdays throughout the summer. In 2013 and 2014, we gathered artwork from the residents to display and celebrate. We better got to know the neighborhoods, assessing needs and challenges that will lead to us helping support neighborhood leaders in the future who are working to address residents’ concerns about health, safety, and other quality-of-life issues. In 2015, we are focusing our mobile work on parks and at Monument Circle. In 2016, we plan to return to apartment complexes with an exciting new mobile unit, the DoSeum. See images from Fun Fleet here. And check out this is wonderful booklet of activities for participants from 2014 made by Artist in Residence Niina Cochran . 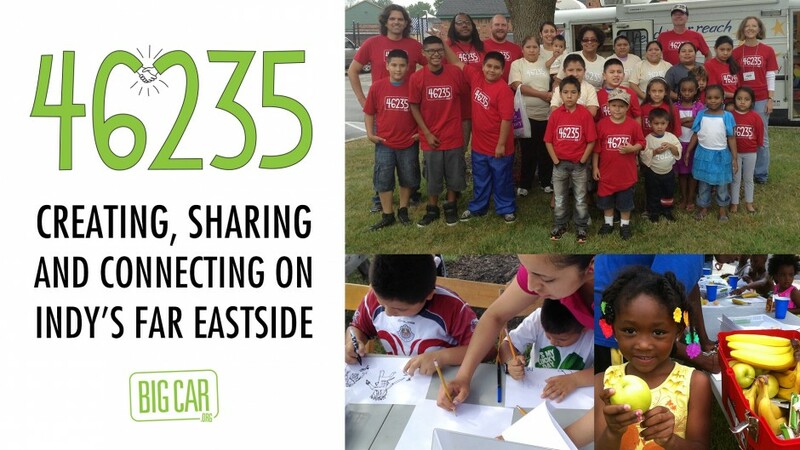 Fun Fleet thanks The Glick Fund from Big Car on Vimeo.